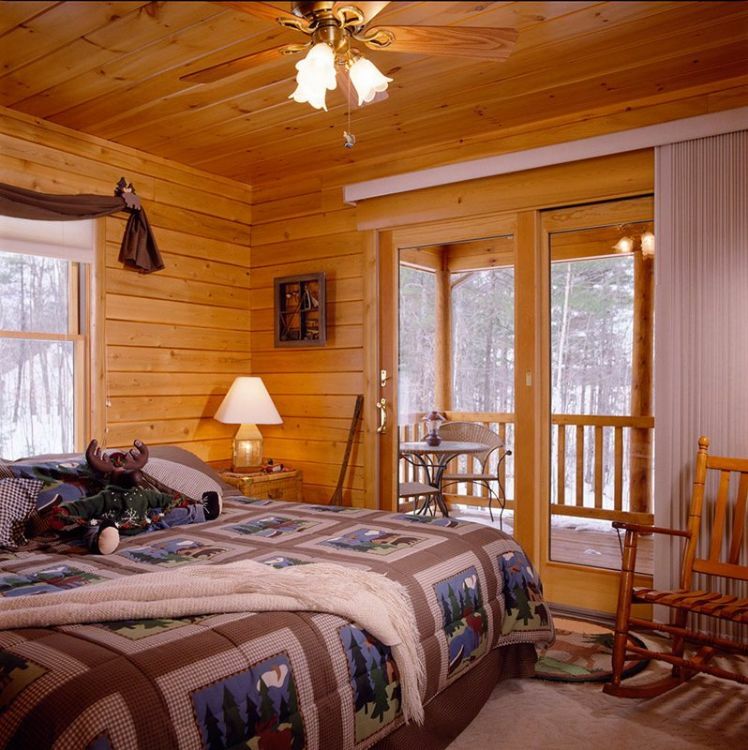 While spring and summer offer the beauty of a natural world in rebirth, the autumn and winter months can be a wonderful time to be in a log cabin. 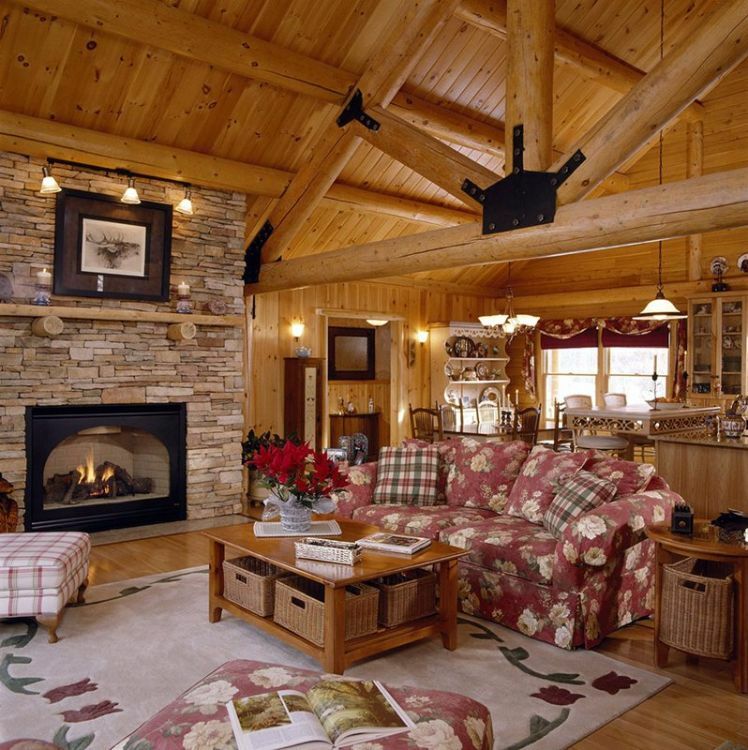 The cozy, inviting interiors with roaring log fires really come into their own in the colder seasons. 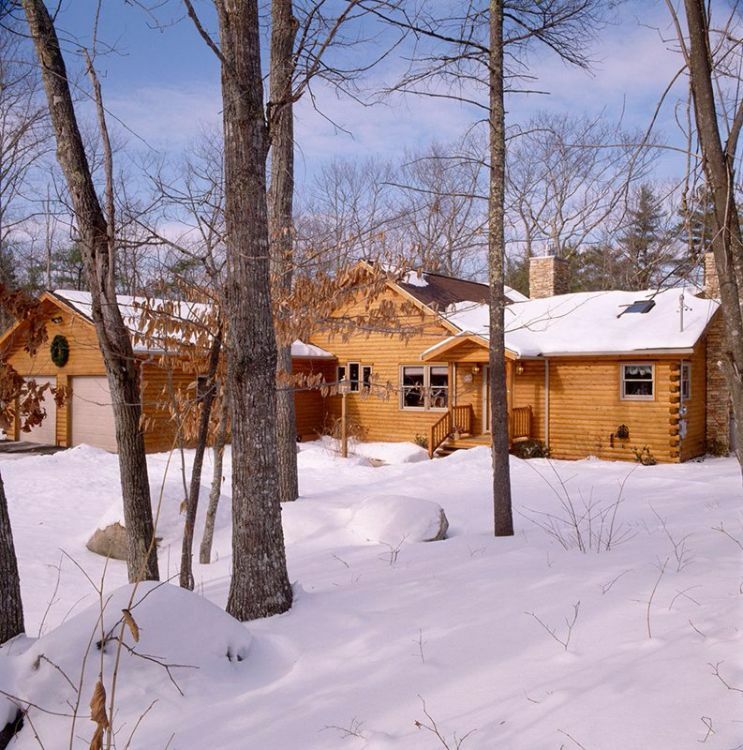 This customized Sebago Lake log home is located in the Lake Region of Maine, which boasts outstanding natural beauty during the warmer seasons and becomes a picturesque retreat in the winter. 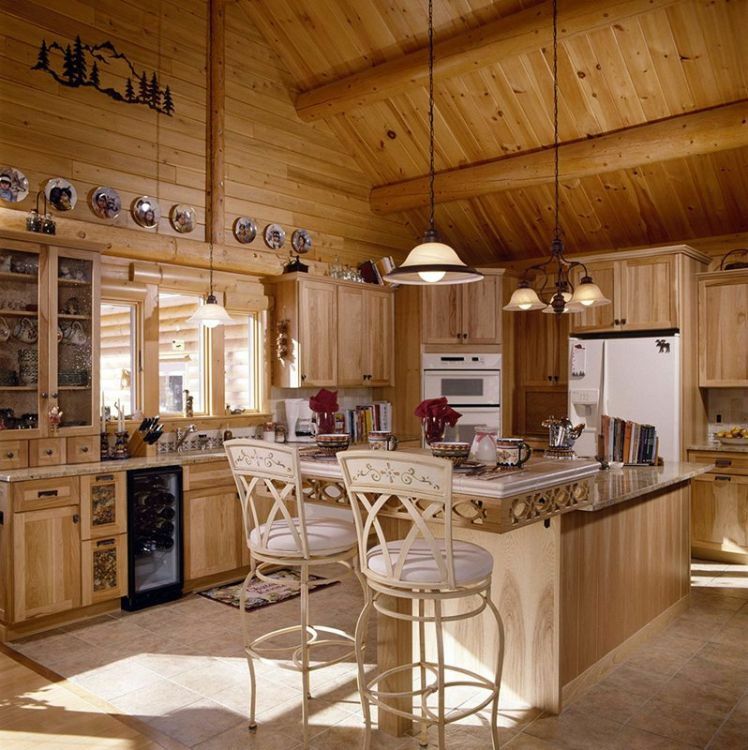 Constructed by Ward Cedar Log Homes, this spacious floor plan features 1,716 square feet of living space (159.4 square meters), two bedrooms, two bathrooms, and a generous deck. 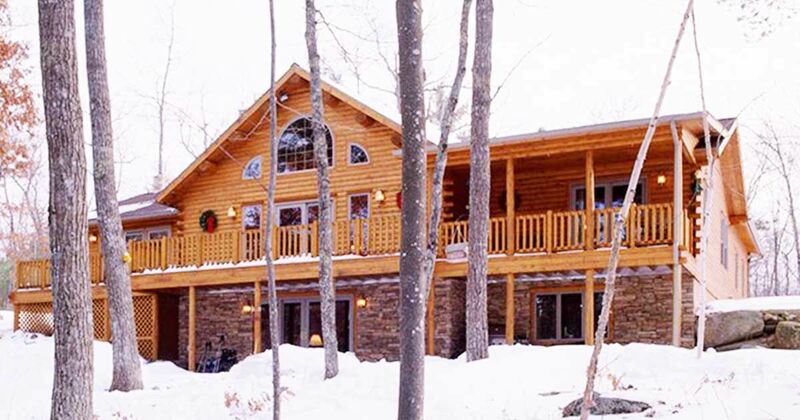 Located on two acres of property, the home includes direct waterfront access. Nice! The home is constructed using D-shaped logs, which give the exterior that classic rustic look while keeping walls flat on the inside. The covered front porch gives you the opportunity to shake off your boots before entering the house. 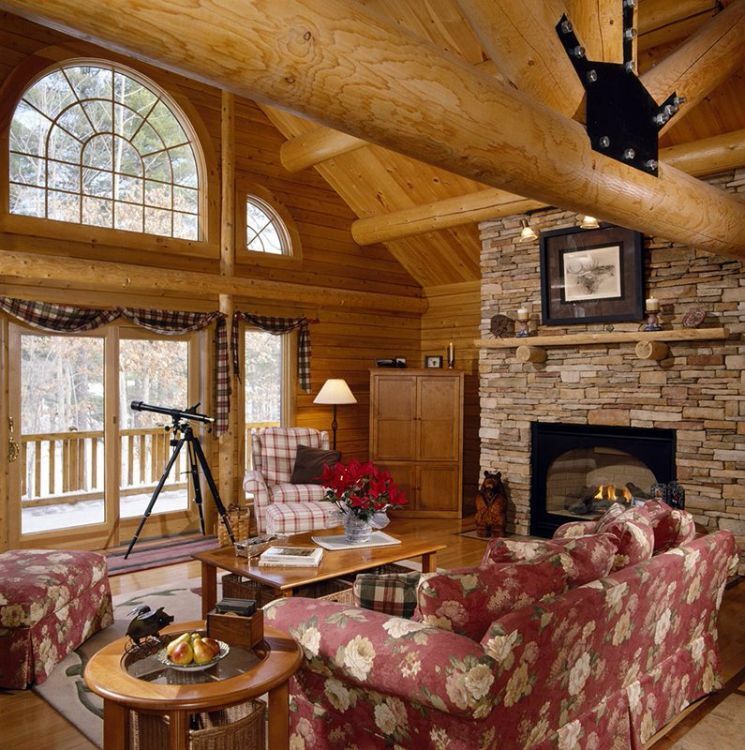 The great room has a prominent fireplace which is the cozy centerpiece to the living area. The doors lead to a generous deck which overlooks the lake. 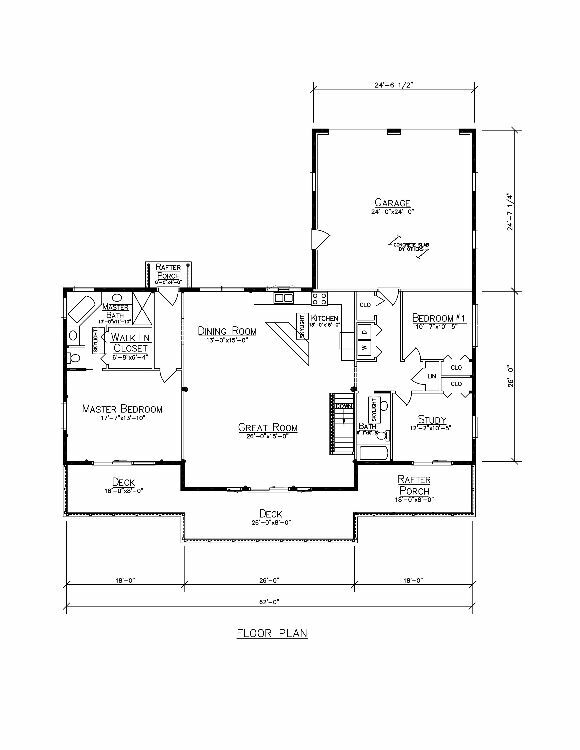 The open-concept floor plan and high ceiling create an airy space to relax which is not oversized and so undemanding to heat. 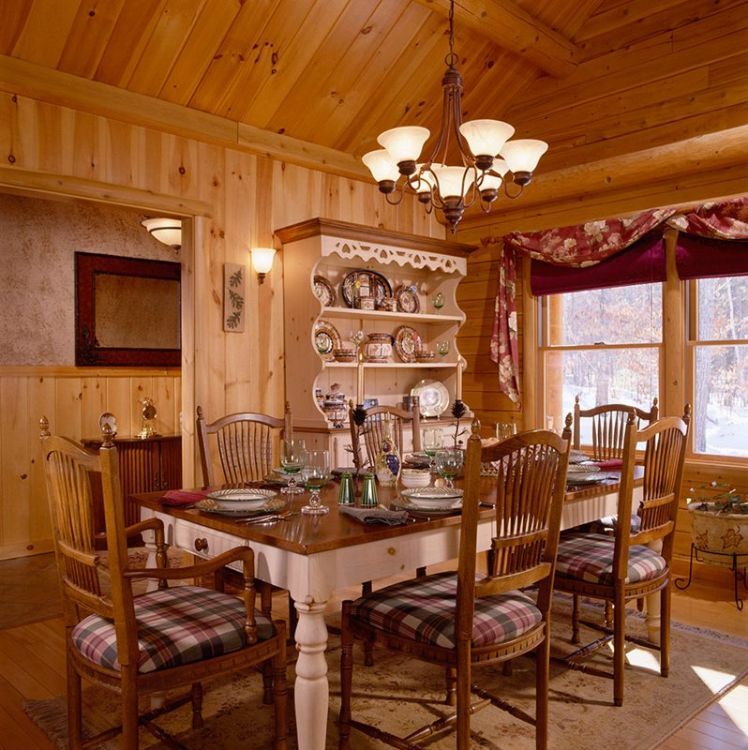 The designated dining area is dressed in a gorgeous country style featuring distressed furniture. Lovely! The spacious kitchen includes all modern appliances. It even features a wine cooler. The transition from wood flooring to tiling gives a psychological barrier to the room while maintaining the air of the open space. 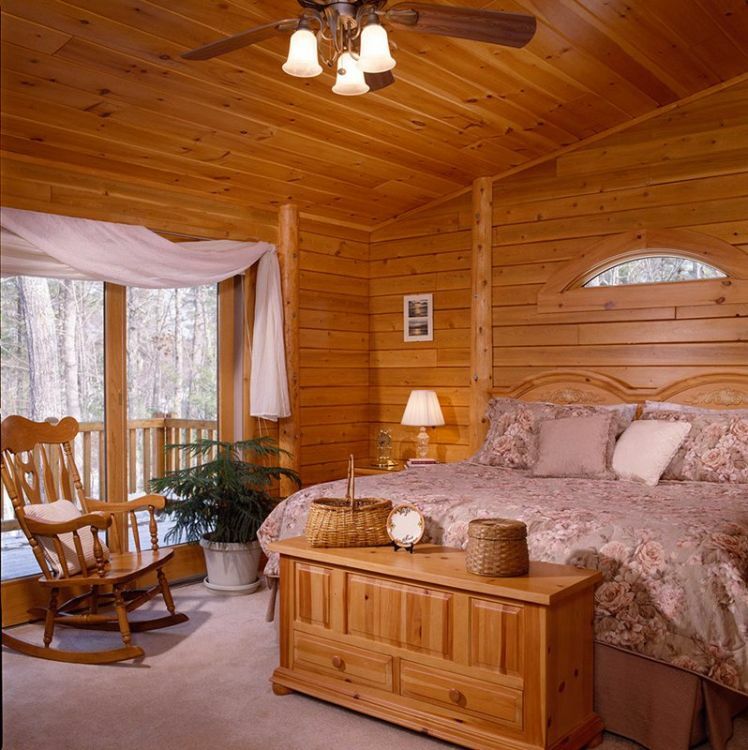 The cabin has two bedrooms, both benefiting from a high ceiling. That enormous comfy bed looks incredibly inviting - wake me up when it is March! Both bedrooms have access to the covered deck area and are finished with the same medium-toned wood paneling we have seen throughout the house. What a delightful bathroom. 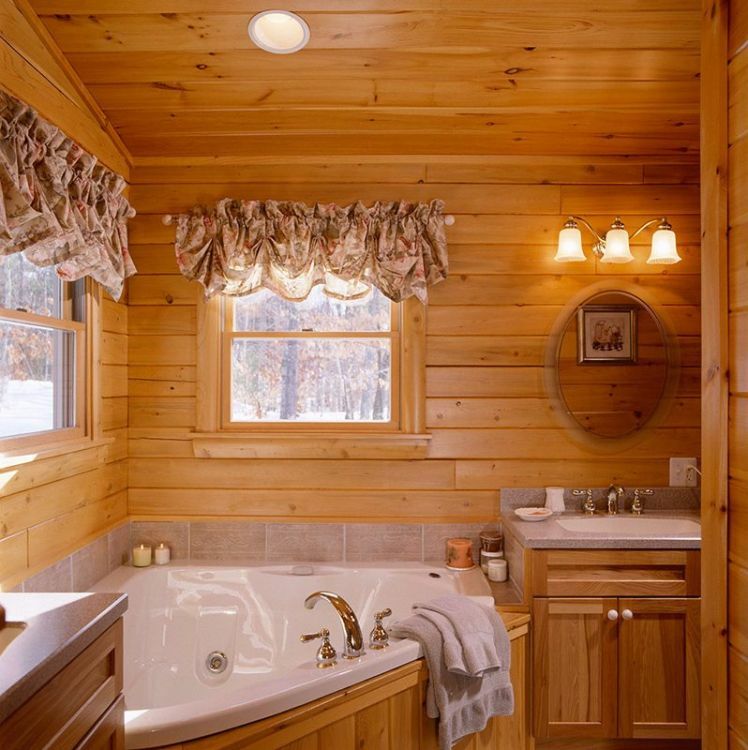 This is not just a wash space – I could soak in that corner tub all afternoon! 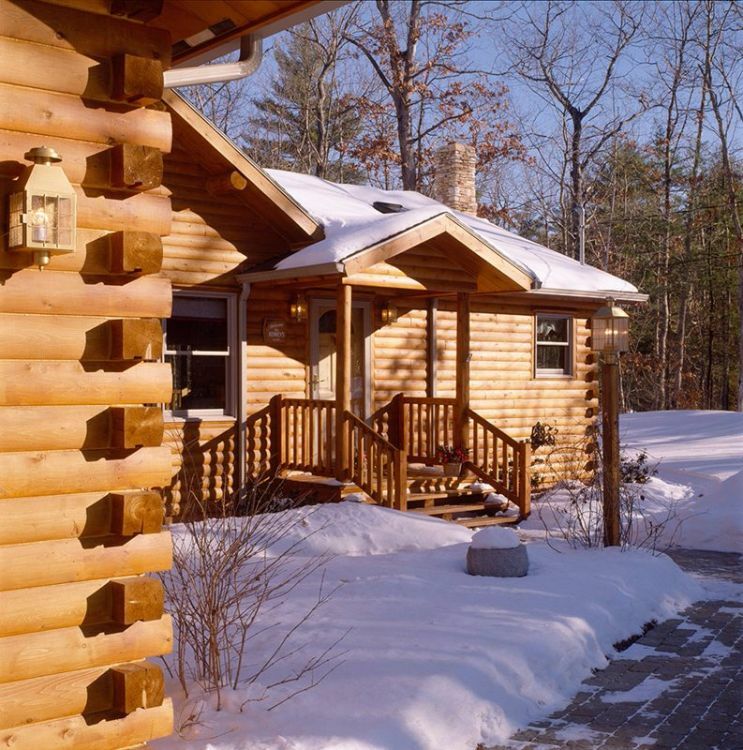 Getting away to a log cabin is often about socializing with friends. 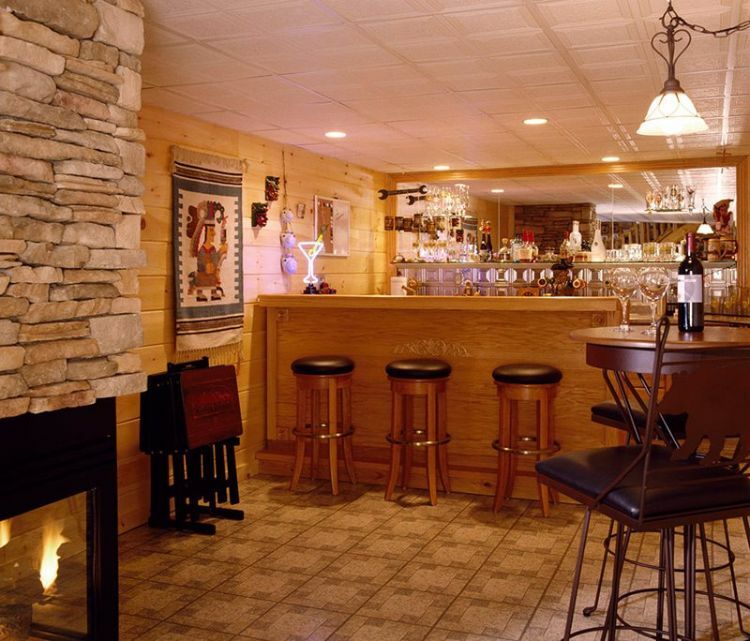 This custom cabin even includes a bar.